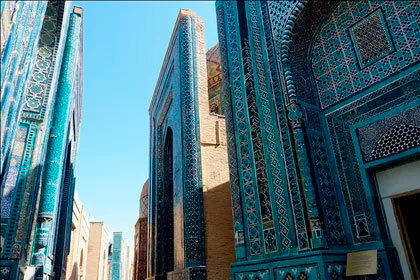 Come, and enjoy the present Uzbekistan: beautiful structures, ancient traditions, natural wonders, bustling bazaars and hospitable people. 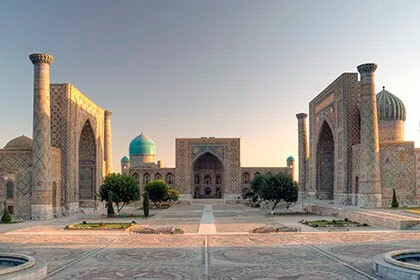 This route gives an opportunity to visit Tashkent, Samarkand and Bukhara. All these cities played an important role in the trade exchange on the Great Silk Road. 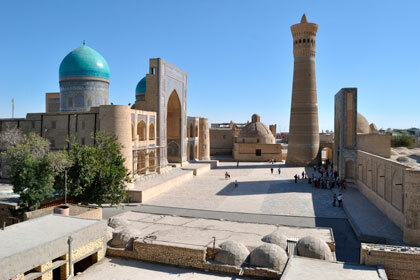 Duration: 6 days / 5 nights Сities: Tashkent, Bukhara, Samarkand. 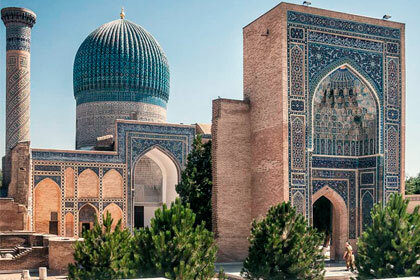 Departure to Tashkent by flights of Uzbekistan Airways. 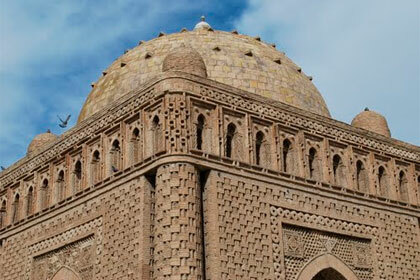 Tashkent is fascinated by the impression of a halted time - it seems that the past merged with the present in an instant. 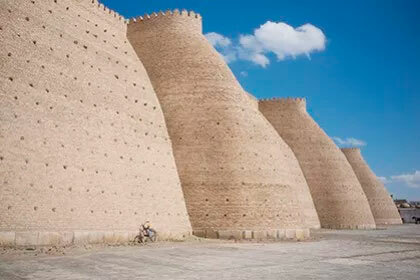 The walls of this beautiful city contain amazing legends, and the earth is full of history of the great past. At 09:00 the beginning of the tour of Tashkent. 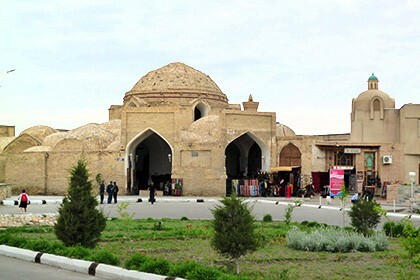 Khast Imam Square, where the Kafal Shashi Mosque, Barakhkhan Madrasah, and the Koran Museum are located, which houses one of the oldest Korans in history. 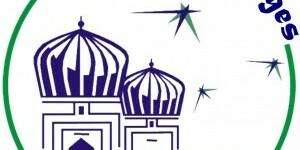 At 18:00 transfer to the station for the fast Afrosiab train to Bukhara at 18:50/22:37. Arrival at the station Kogan and transfer to Bukhara (15 km). Accommodation at the hotel and overnight at the hotel. 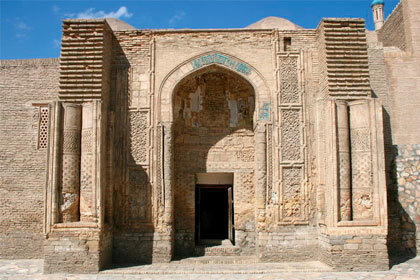 Samanid Mausoleum, visit the bazaar. 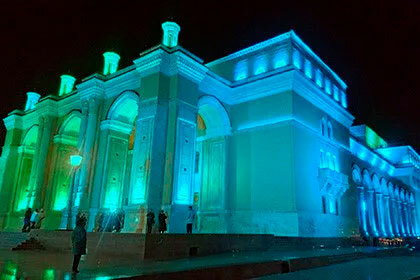 In the evening a folklore show with dances, songs and a show of Uzbek national costumes awaits us. 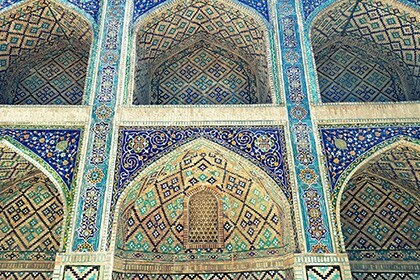 Samarkand is a city of numerous legends. Every brick here was a witness of the past. 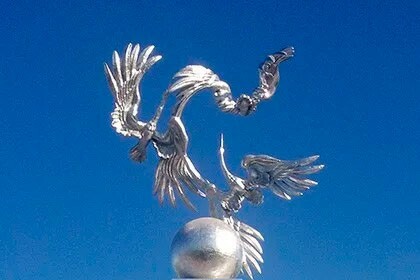 Each district of the city is rich with its stories, legends and stories. 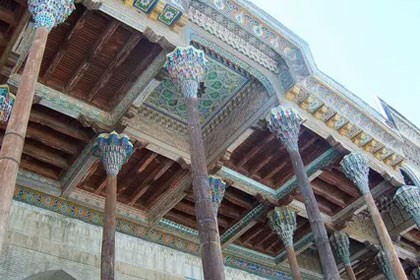 And all this in the heart of every Samarqand, you can see, hear and feel it all. An unforgettable city with kind, hospitable people and impressive sights. 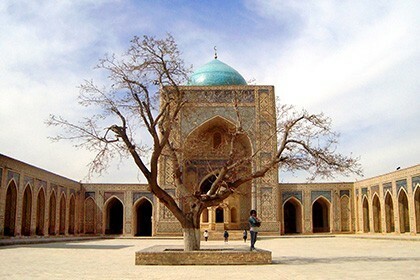 The beginning of the excursion around Samarkand. 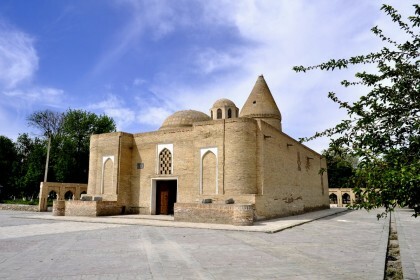 The first tour around the city with a visit to the Gur-Emir Mausoleum (XV century). 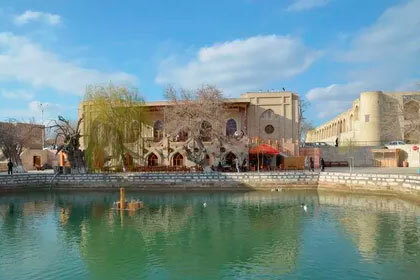 Panoramic view of Afrosiab hillfort (Samarkand foundation) and its museum. 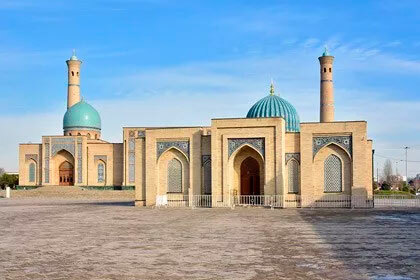 The whole day excursion around the city: Registan Square (the most beautiful square in Central Asia), consisting of madrassas of Ulugbek, Sher-Dor and Tilya Kari, Bibi-Khanym Mosque. 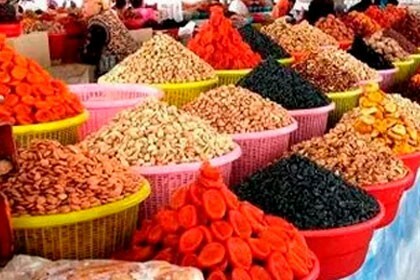 Walk along the Siab bazaar, where you can taste a variety of gifts of nature, oriental sweets and famous Samarkand cakes. 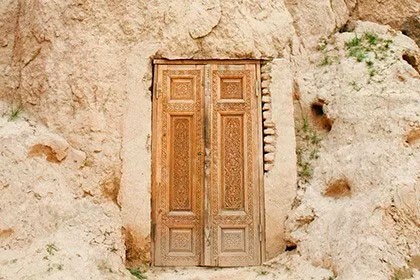 Necropolis of Shahi-Zinda (XI-XIX in), where we will rise along the ancient staircase, which stores in itself not one wisdom. 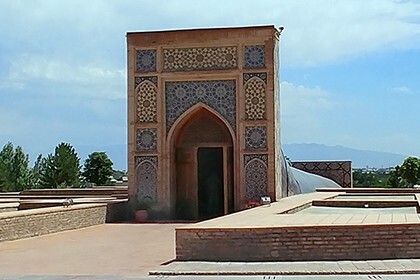 Visit the Ulugbek's Observatory, the great astronomer, who in XV century calculated the duration of the year to within 1.25 seconds. 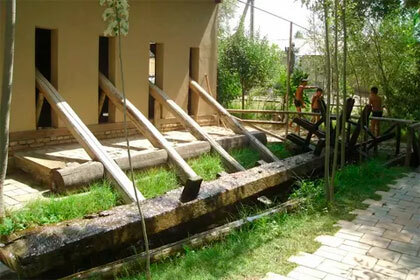 Visit the center for the production of ancient silk paper, where you will taste tea in the pleasant courtyard of the workshop. Departure to Tashkent and transfer to the airport to the international flight of Uzbekistan Airways. 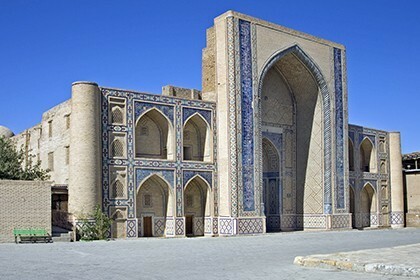 Russian speaking guides for excursions in each city (for a group of 2 to 7 people), Russian-speaking guide along the entire route from Tashkent to Tashkent (for a group of 8 people). Minimum number of participants: 2. Maximum quantity: 20. Single room supplement: 80 USD.